Gardenias are tropical or subtropical trees and shrubs belonging to the genus "Gardenia." Members of the coffee family, these plants produce fragrant and abundant flowers. Gardenias require a gentle touch and a fair amount of care to reach their full potential. 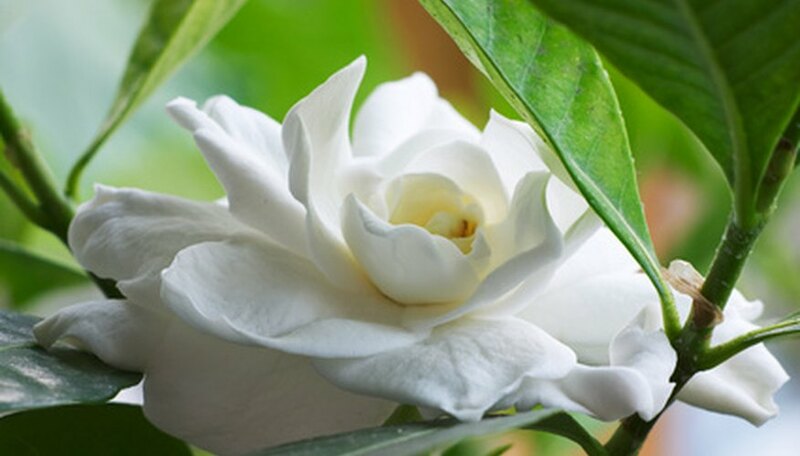 The best gardenias are those that are fragrant and abundantly blooming. Gardenias grow in different heights and sizes. Choose one that fits your gardening space and size preference. Gardenia jasminoides 'Summer Snow', is the scientific name for one of the most common hybrid gardenias available to gardeners living in temperate climates. Hardy in USDA Zones 6 through 10, this shrub grows to 4 or 5 feet in height with an equal spread. The Summer Snow hybrid has pure, crisp white double flowers that resemble roses. It is drought tolerant and mostly pest resistant. Summer Snow gardenias prefer full sun to partial shade and grow best when they are deeply watered at regular intervals. The sweetly aromatic blooms appear in late May to late June, depending on location and the health and age of the plant. The Summer Snow cultivar is perfect for temperate-climate gardeners who prefer a classic, elegant type of gardenia. The Daisy Gardenia, Gardenia jasminoides 'radicans', is hardy in USDA Zones 8 through 10, according to the North Carolina Cooperative Extension. It grows to a height of 1 to 2 feet. Daisy gardenias are creeping in nature, and reach a spread of 3 to 4 feet. Like the rest of the plant, the white waxy flowers of the daisy gardenia are small, measuring about 1 inch across. Daisy gardenias grow best in full sun to partial shade and prefer rich, well drained soil of an acidic nature. Water thoroughly and allow the soil to dry to moistness between waterings. Daisy gardenias are ideal for gardeners who want gardenias without the upright, tall growth of most cultivars. Daisy gardenias are best where you have a lot of ground space for the plant to spread. Gardenia jasminoides 'Shooting Star' is a particularly fragrant gardenia. It has a winter hardiness of USDA Zones 7 through 10. Shooting Star does best in acidic, well-drained soils in full to partial sun. This plant does best when sheltered from high winds, as winter winds can damage the sensitive, dark green leaves of the plant. Watering habits are similar to that of the other gardenias mentioned, with thorough waterings recommended at regular intervals. Shooting Star gardenias grow 3 to 4 feet tall. The plant produces large, 3-inch wide single flowers in a stark white color from May to June. Shooting Star is best for those who want a simple, sturdy gardenia for their gardening spaces. Shooting star also does well potted and placed indoors.